Date: 15.04.2018 | House, Electro, Dance, Club, Disco | Tags: Kontor Top Of The Clubs, Kontor Records, Markus Gardeweg, Jerome, Picco, Wateva, Froidz, Sunset City, Fedde Le Grand, Dave202 | Download Kontor Top Of The Clubs (2018.02) for free. Attunement sound for the coming spring! On the 13th of April there is finally fresh and brand new music on the house Kontor for you on the ears, because then the Kontor Top Of The Clubs. You will be offered a total of 69 tracks on three CDs. The three CDs were mixed edition of Jerome, Markus Gardeweg and Picco. Listed are high-carats such as u.u. Martin Garrix, Robin Schulz, Ummet Ozcan, Showtek, Moby, Afrojack, The Chainsmokers, Lost Frequencies, Ofenbach and many, many more. The Kontor Top of the Clubs 2018.02 offers pretty much everything that currently works in the electronic music scene. In addition to its diversity and timeliness, the box set also has some new releases at the start. 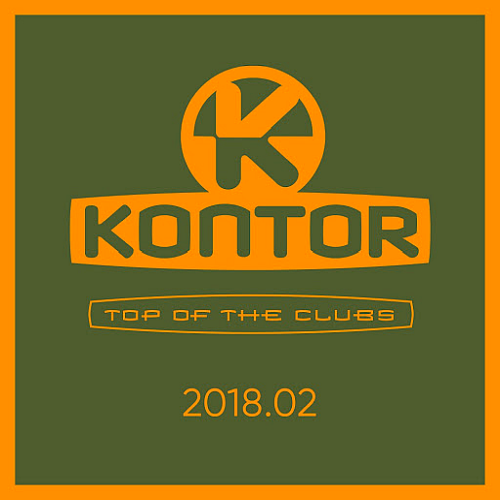 Anyone who is a collector and a fan of the Kontor editions must not miss the Kontor Top of the Clubs 2018.02.